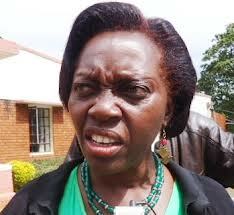 Martha Karua has opened up to matter believed to be too taboo; her marriage life. The immediate former Gichugu legislator and now a presidential candidate has finally answered a question many have not had the guts to ask, Is she married? and if not, How comes?. Speaking on Citizen TV’s gospel show Kubamba, Karua said that she is not married, but that has never prevented her from carrying out her duties, and will not prevent her from running the country if she’s elected president. She said that Kenyans should judge her by what she can do, and not whether she has a husband or not. She added that many politicians are married with some having multiple partners including ‘mpango wa kandos’, but most of them perform dismally in delivering services to the country. She further said that she is a mother of a son and daughter in their 20’s and a grandmother too. During the show, Martha Karua narrated how she rose from an untrained teacher to court clerk, then magistrate and now a recognized figure in Kenya’s politics. On the coming elections, Karua said she understands the contestants are more than the positions and she’ll therefore accept and respect Kenyans decision.